What's wrong with my plants !! why are they short ?! dwarfed ?! 2 Squash and 1 Eggplant ... I am sad and angry at the same time. please help please !! do you have any idea what's causing this ?! 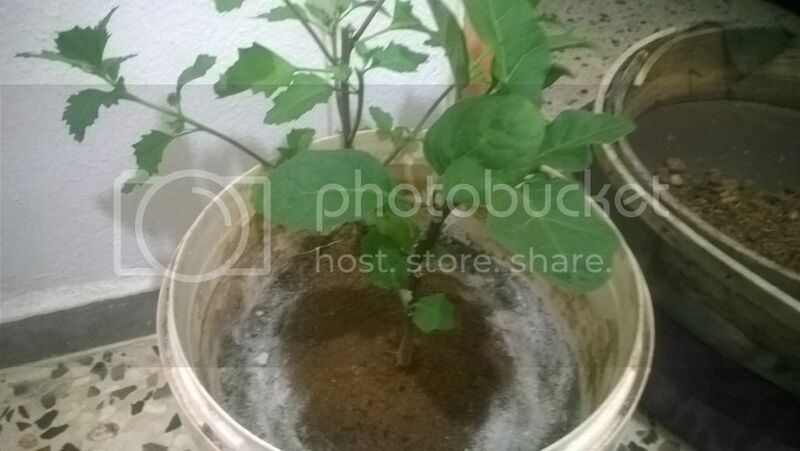 The pots are too small- not enough root space, or large enough population of soil microbes to supply nutrients to plants without supplementation. eggplant needs at least a15 gallon pot. Five gallons would work but it would be smaller than it should be. In the ground it could get over 5 feet in a couple of years. Squash needs at least 5 gallons per plant. Your bucket isn't full so you probably have only 4 gallons in there. If you are going to do organic fertilizers you have to do fish emulsion and kelp meal weekly when plants are growing. Organic in pots will always be smaller than the same plant grown with conventional fertilizer unless you supplement heavily. 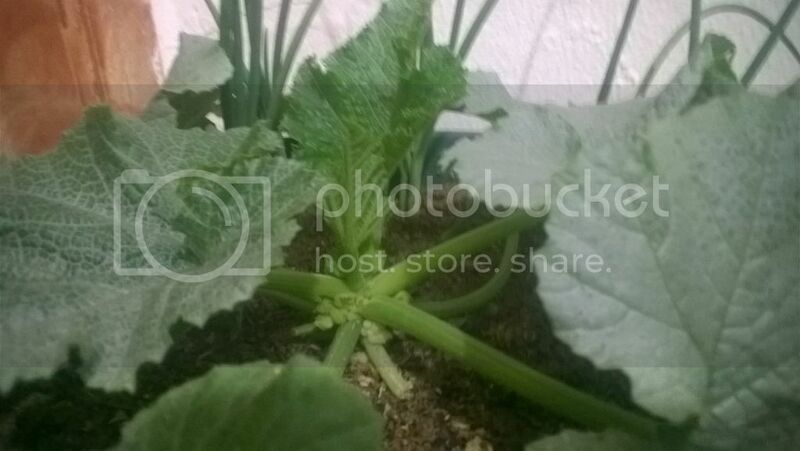 Bush squash does have short internodes. 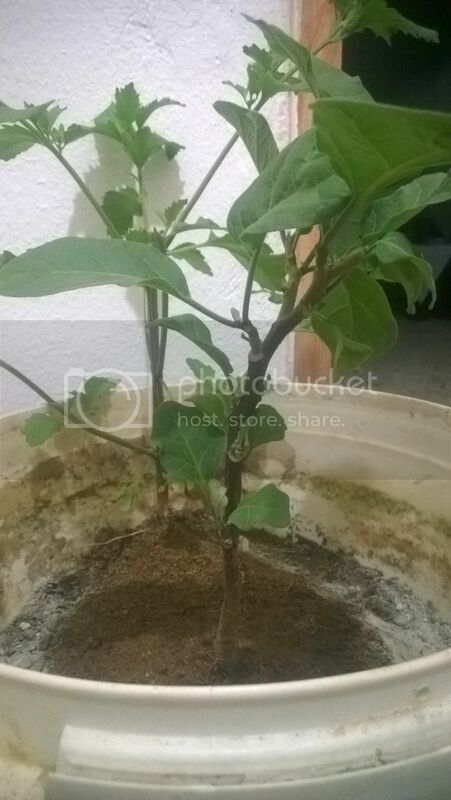 The leaves are small, you won't get much fruit if it starts blooming before the leaves size up. 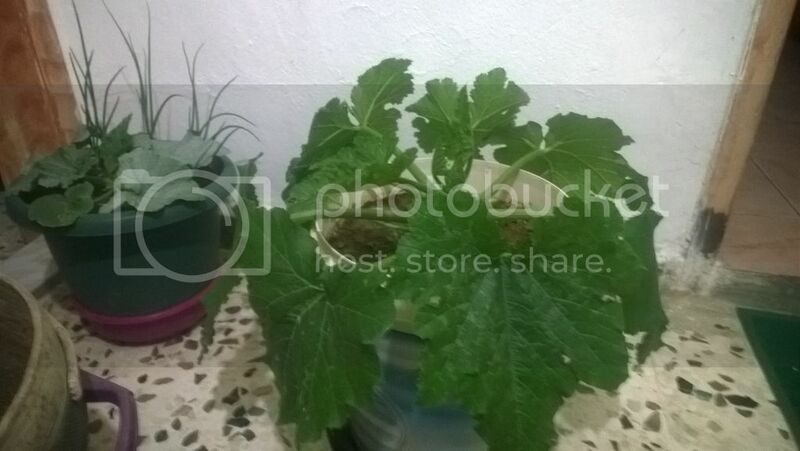 @imafan26 I have grown these plants in 5 gallon buckets before, I get healthy tall plants but fewer flowers and fruits true because the pot is small. However this is different !! they are stacked !! their growth is abnormal !! the branches (internods) are many but close to the stem and the leaves are many but small. 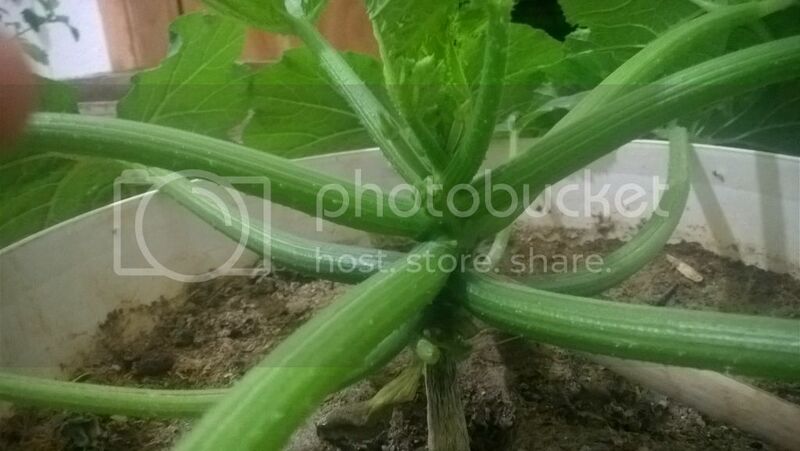 The stems are short, look closely at the squash ... yes its leaves are normal and big but look at its stem ... it should be elongated !! it is stacked as well as the flowers and sideshoots !! ... it is not a matter of small pots at all. Notice the side shoots how short as if they are glued to the stem and they are many. There are a few things that can affect the internode length. 1. lack of nutrients. It may be related to pH that makes nutrients unavailable or because your fertilizer is organic, just not having enough available nutrients when the plants need it. Or it can be too much of one nutrient inhibiting uptake of another. 3. if there are a lot of branches and stems then the plants energy will be diverted or divided leading to shorter internodes and short plants if nutrient levels are marginal. 4. plant growth regulators and herbicides can change internode length. 5. Temperature, light, humidity, CO2 are all considerations. "Final stem length is determined both by number of internodes and internode lengths (Pearson et al., 1995). In species with a determinate growth pattern, such as chrysanthemum, new internodes are formed up to flower initiation. After this stage, the increase in stem length depends on internode elongation only. Thus, the stem elongation process is strongly correlated with both internode appearance rate (IAR, equal to leaf unfolding rate) and internode elongation rate. Several growing conditions are known to affect chrysanthemum stem elongation, such as temperature, light intensity, light quality, photoperiod, relative humidity, CO2 concentration and plant density (Carvalho and Heuvelink, 2001)." Cucumbers are short & fat ?? ?